Find out why Bath is an ideal city to visit for a little R&R in the English countryside, then hear why one American expat, who runs a popular website about her life in the Yucatán, left California with her husband to start a new life in the Mexican city of Mérida. And get clued in on the hot-button topics under discussion in the bars and cafés of Spain. Bath Abbey, the Fashion Museum, and the Jane Austen Centre are attractions in Bath. The Bizarre Bath Comedy Walk runs April through October. 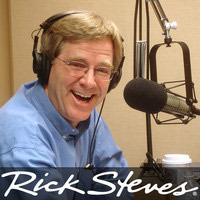 The most recent Rick Steves' Europe TV show about Bath and York. Ellen Fields is the "working gringa" who runs the popular English-language Yucatan Living website. It includes a "Yucatan Survivor" section with ex-pat tips for living around Merida. Travelers on Trip Advisor rate the central Plaza Grande in Merida very highly. The pitaya is the Yucatan version of dragonfruit. Tour guide Federico Garcia Barroso is based in Madrid, and tour guide Francisco Glaria specializes in the Navarra region of Spain from his home base in Pamplona.